What is an Anti-Cortisol Supplement ? What are the ingredients in Anti-Cortisol Supplements ? What dosage should I take for an Anti-Cortisol Supplement ? Anti-Cortisol Supplements are designed to reduce the level of cortisol in your body. An excessive level of cortisol is bad for a bodybuilder and Anti-Cortisol Supplements mainly focus on reducing its level. The cortisol, also called the stress hormone is responsible for many human functions. Many people have an excess of cortisol in their body (due to the stress) and bodybuilders should stay away from cortisol : cortisol can be the cause of being in a catabolic phase, high level of cortisol encourages the body to store more fat… Therefore, Anti-Cortisol Supplements can be used by every bodybuilder looking to get clean dry gains while also dropping fat levels. The benefits of taking Anti-Cortisol Supplement during a cycle of prohormone are numerous : lean dry gains, dropping fat levels, (basically building more muscle, less fat and muscles are more hard!). 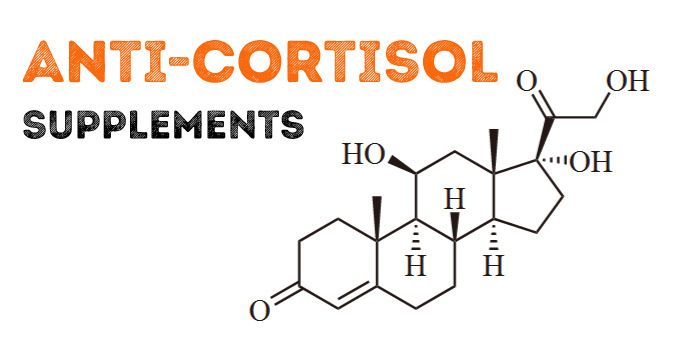 Anti-Cortisol Supplements contains various ingredients that works differently but they are all good. Some Anti-Cortisol Supplements ingredients are natural while some others are chemical. Chemical ingredients like 5-AT (5-Etioallocholen-3b,7b,17b-Triol) and 7-OH (3b,7-Dihydroxy-5-Etioallocholen-17-One) are very powerful and they will surely lower your cortisol level rapidly – most faster than the natural ingredients -. There is no specific dosage for the Anti-Cortisol Supplements. Just follow the guidelines from the manufacturer. Where to buy Laxogenin ? Where to buy Reduce XT ?